Solar module racking also called photovoltaic mounting systems are employed to fix photovoltaic solar panels on the roofs, building facades, or the ground. They are generally fixed on the roofs or the ground, or integrated into the structures of the building called Building Integrated Photovoltaic (BIPV). 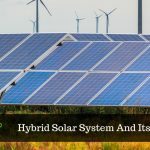 A solar rooftop mounting system incorporates the electricity-generating solar panels on the rooftop of a residential, commercial or industrial building and structure. There is usually a few inches gap between the panels and they are placed parallel to the surface of the roof. There are cases where the rooftop is horizontal. In such cases, the panels are mounted at a certain angle. One can plan to install solar panels on the rooftop before the construction of the roof itself. 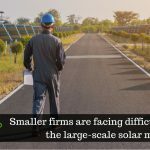 This is usually the case when an asset owner has decided to take the solar course before the construction of his or her residence or commercial abode. In such cases, the rooftop is designed accordingly by installing structures such as support brackets for the panels and the wires before the materials for the roof are installed. The crew responsible for installing the roof are usually given the task of installing the solar panels as well, in such cases. If your decision to go solar has been taken on your already constructed asset, it would be relatively easier retrofitting the PV panels directly on the existing rooftop. Why Mounting Systems Play a Significant Role for Rooftops? The roofs built much before the decision to go solar is taken, are capable to bear only a little more than its own weight. In such cases, the roofs need to be customized before installing the panels to strengthen it. In addition to that, proper consideration must be given to weather sealing. There are many mounting systems that are low-weight preferable for sloped or flat roofs. The mounting of the panels for rooftops is usually done with extended aluminum railing. In the recent times, tension-based PV racking solutions are being tested that can be employed to mount on the rooftops. They have shown to be good at reducing the weight and cost of the overall installation. There are some cases in which the rooftops are converted with composite shingles. This facilitates additional weight tolerances of the panel structures by the rooftop, compensated when the weight of the additional roof materials is removed. This has been a brief discourse with respect to mounting systems for rooftop solar. 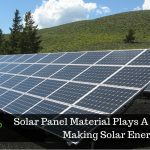 Although not a comprehensive analysis, it has introduced us to its significance and can be a stepping stone towards knowing the different types of installation methods involved in the solar panel industry. SaveGeo harnesses the power of solar energy by providing effici ent, state-of-the-art rooftop solar solutions to help organizations and homeowners reduce their carbon footprint in a cost-effective and eco-friendly manner.